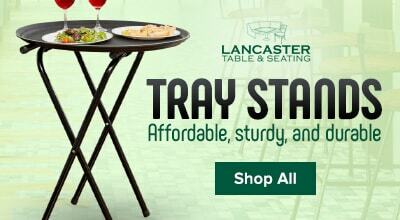 For an edgy addition to your coffee shop, bistro, brewery, or tasting room, turn to this Lancaster Table & Seating clear coat steel cross back chair! 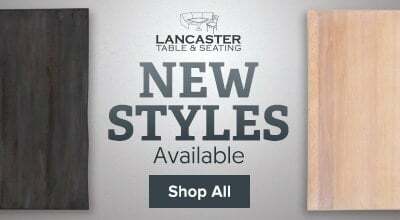 Featuring a durable plywood seat with a versatile cherry finish, combined with a contemporary steel frame and trendy cross back design, this Lancaster Table & Seating clear coat steel cross back chair instills a modern look in any location. Plus, since the chair's back is contoured for a customer's back, it will provide unmatched comfort while maintaining a distinct appearance. 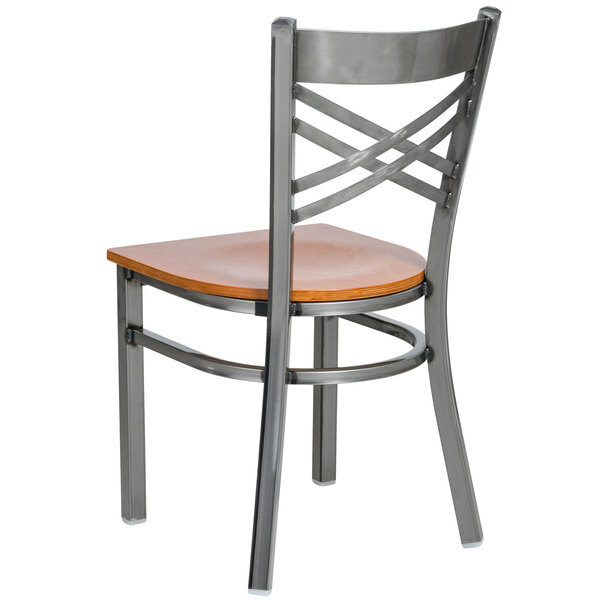 "This coat steel cross back chair has a beautiful cherry wood finish that we love. 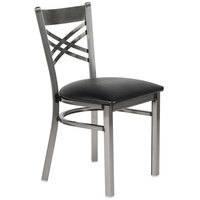 Its very comfortable and our guest and staff love these chairs." 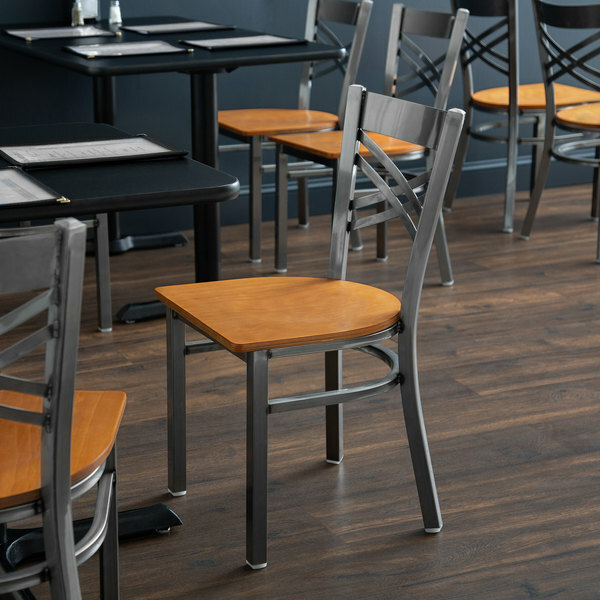 A durable metal frame provides unmatched durability in your commercial dining room. 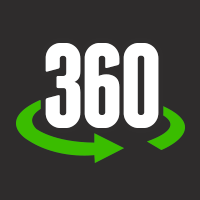 The chair can hold up to 330 lb. 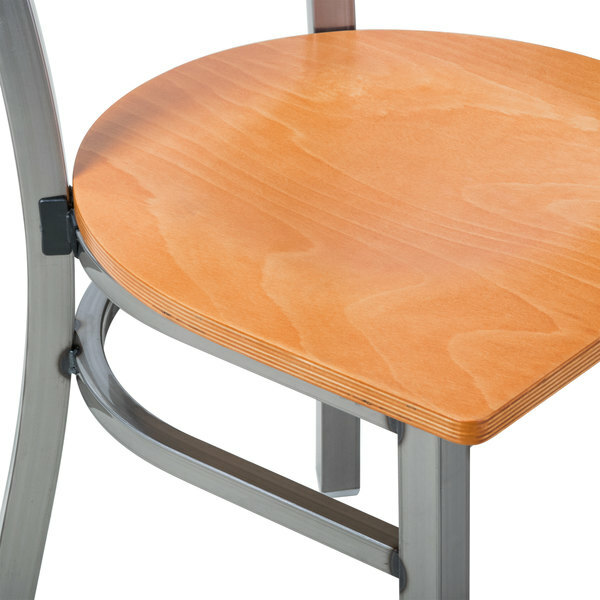 of weight thanks to this frame, and supports under this chair’s seat ensure extra strength. At the same time, the clear coat on the chair ensures longevity even through everyday wear and tear, while maintaining a modern look atop the natural steel frame. 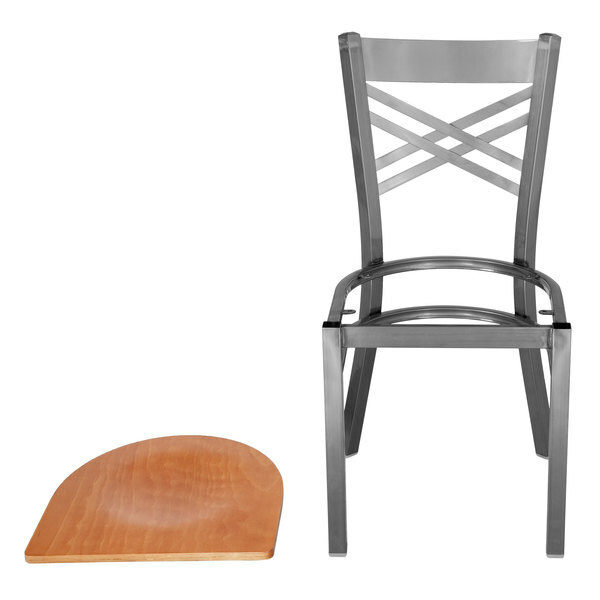 This chair weighs less than 13 lb., making setup and cleanup quick and easy. 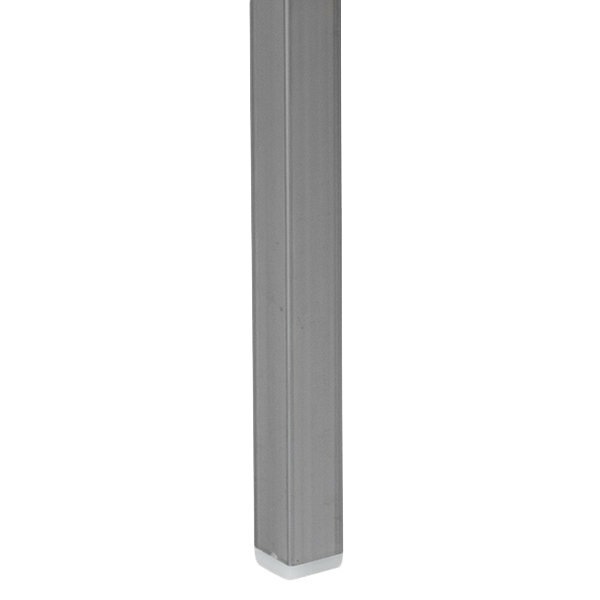 Each leg has a glide on its end to protect floors from scuffing. 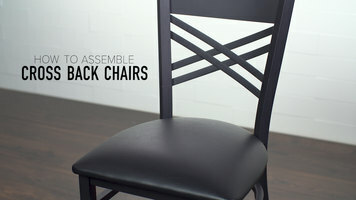 These are not only beautiful to look at but the chairs stay beautiful even after several cleanings. 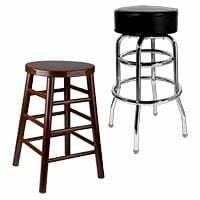 They match numerous decors and are very comfortable to sit on. 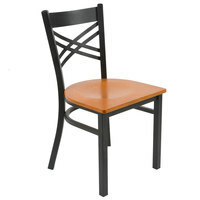 This coat steel cross back chair has a beautiful cherry wood finish that we love. 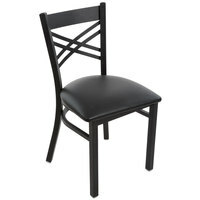 Its very comfortable and our guest and staff love these chairs. I love the cherry wood seat on these chairs. It looks hard in the picture, but it is really not that uncomfortable. We really have enjoyed these chairs ever since the day that they arrived here. I have never found such great chairs. I think that these are great for our business. I have received many compliments on them too which is nice. I love these chairs. 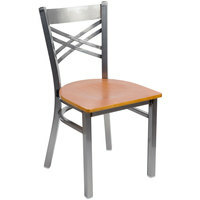 I gave a star off because I received the chairs with scratches on the metal and wooden seat. This was due to shipping as they were stacked on top of each other. This did not affect the use of the chair at all. It was purely cosmetic which really doesn't make that much of a difference.